Lately if you have been considering about getting a new ceiling for your home or office then you might want to seriously think about aluminium strip ceilings. These are a wonderful option for instantly adding the visuals to any room and also work great if you have higher ceilings and wish to bring them down a notch or two. C & L Products is here to satiate all your ceiling needs including metal ceilings, strip ceilings and aluminium strip ceilings. The latter come with a panel size of 100/200 mm effective width, panel thickness of 0.40 - 0.50 mm (Alumzinc Panel) and 0.50 – 0.70 mm (Aluminium Panel) along with accessories like G.I SC carrier. What Do Aluminium Strip Ceilings Have To Offer? Firstly, aluminium strip ceilings are highly durable and do not require frequent maintenance and replacement. They are hard-wearing and can be cleaned off with a simple soapy water and cloth. Furthermore, they are also fireproof so you can be rest assured that no matter what happens your ceiling will not come crashing down. 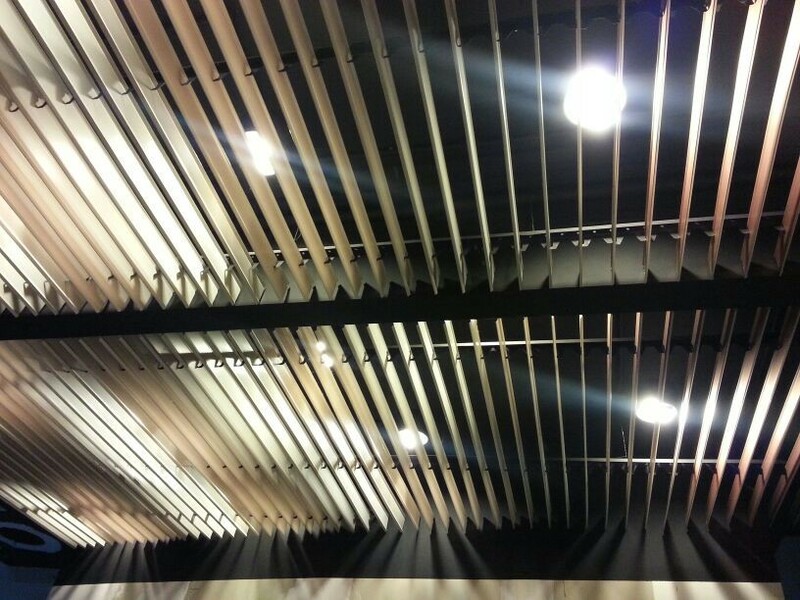 Secondly this strip ceiling ( Screen Ceiling) are highly customizable and so can be put in place precisely in accordance with the homeowner’s requirements. They are also easy to install and therefore do not require expensive fees for installation. Finally this strip ceiling (Screen Ceiing) go well with any ceiling area and can be flexibly suspended, installed and disconnected so you can cover up just about any surface with them. The possibilities are endless for you to experiment with.